Havurah Shir Hadash Jewish Renewal Synagogue and Temple in Ashland, Oregon. We are an extended family of Jews by birth and by choice. 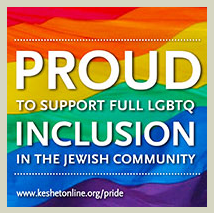 We are blessed to be a dynamic, egalitarian, spiritual community, rich in diverse approaches to Jewish learning and practice. We strive to deepen personal connection to the Divine through prayer, music, movement, and storytelling. We are proud to be an LGBTQ Safe Zone. Our Seder is now full. Please call the office if you would like to be on a waiting list. 541-488-7716. Wednesday, May 15, 7:30 PM, $22 advance, $25 door available online at Brownpapertickets.com and at the Music Coop. Our Seder is now full. Please call the office if you would like to be put on a waiting list. 541-488-7716. 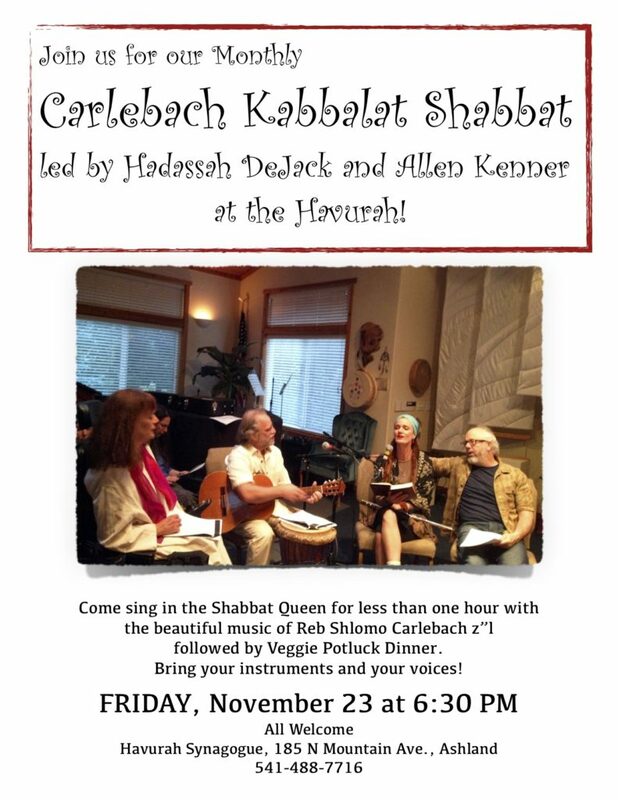 Please join us for an evening of music, story and tradition with wonderful food and a community Seder that feels intimate. Rabbi David leads an interactive Seder, unpacking the beautiful story of our people. Registration is online and simple to do. 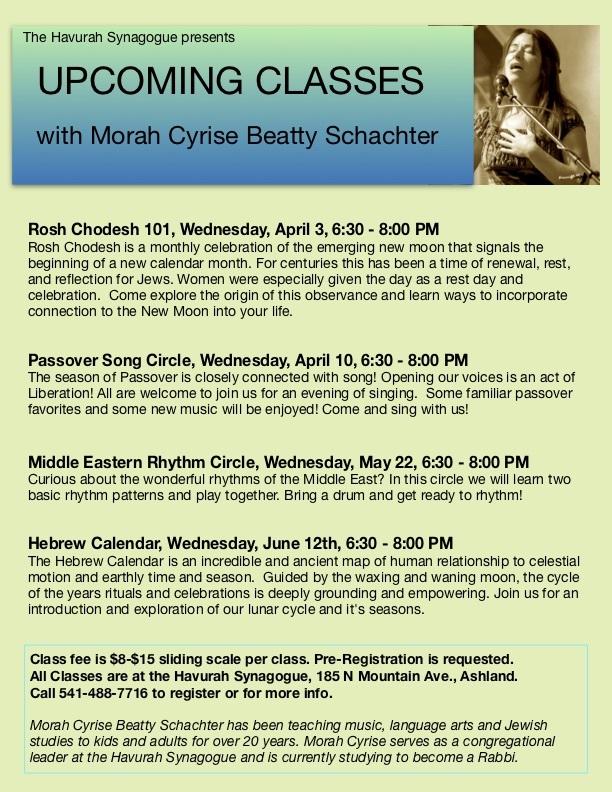 Beginner’s Hebrew Class begins Thursday, May 17 with Rabbi David Zaslow. Five weeks. Fee is $25 members, $40 non-members and includes the text. Call 541-488-7716 to pre-register by May 2. Advanced beginner’s Class with Ayala Zonnenschein, American Israeli, for Advanced Beginners who would like to become more fluent readers, learn Hebrew roots and gain vocabulary. Class meets on Mondays from 2-3:30 PM. $20 donation for each 4 week block for members, $25 for non-members. Classes are ongoing and open to new students.